We’ve all had a fancy schmancy meal that would have been impossible without a food processor. Or even just a milkshake or fruit shake from a blender. So many of our foods are processed by machines; in fact, most TV shows that promote “fast and easy cooking” tout machines as the best way to save time and effort. Sounds good to most of us on the go. Feng Shui principles may point us toward a more traditional way of preparing our foods. Taking a closer look, we see that many “old world” ways of growing, hunting, gathering, and preparing food emphasize the role of food as integral to psychological ties with the land we live on, as well as health-related and social aspects of our lives. These traditions consider food as more than just items to be purchased on sale, rushed and wolfed down so we can hurry to the next thing on our to do list without even fully knowing all of the ingredients and additives that are in what we eat. 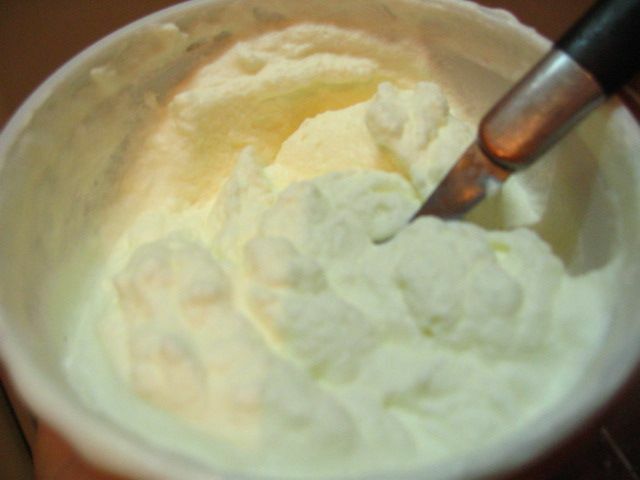 Cream can be whipped with just a fork. Granted, it takes a while, but when traveling or if your mixer breaks--it's worth the effort! I do it just to save myself the extra mess of cleaning up the machine. Feng Shui is all about encouraging a balance of energy in our lives. Most of us are familiar with the application of this philosophy in the home, and especially in interior design. In this post we’re going to look at the application in food gathering, in the kitchen and in particular at the tools we use to handle and prepare our food. The goal of harmony extends to everything from the foods we eat to the materials we use when storing and handling our food, to the atmosphere in which we serve and enjoy our food. The idea is basically to encourage a healthy and consistent energy flow–the qi, or chi–that moves through and around everything and everyone around us. Many of us have heard of the idea that our chi can be off-balance; that we need to achieve equilibrium between the yin and the yang for instance. Other energy concepts like auras and chakras have also become associated with Western notions of chi. But chi is not just something that puts us in a bad mood when it is “off”; it is not just the “vibe” you get from a particular area of the house; and it is not created from being calm and sitting in the lotus position and chanting “Om” to yourself. Chi is the life force that exists in all of creation, on every plane of existence, according to Chinese/Taoist tradition and philosophy (as well as many others). If not properly tended to, the chi of a given person, place, or thing can be thrown out of whack. This can lead to illness, misfortune, and a variety of other negative consequences. Feng Shui chart. Retrieved from http://factsanddetails.com/china.php?itemid=97&catid=3, which has a good general explanation of the basic principles of Feng Shui. So how do we “properly tend to” our personal chi? There are books to be read, and long discussions to be had regarding personal chi and our health. Traditional Chinese medicine takes a holistic approach and doctors will usually first speak to the patient about lifestyle and current stress sources, then start the physical examination by checking the patient’s tongue to indicate any ailments in the body. Next, herbs and other food sources are specifically recommended, depending on the patient’s particular ailments. Food consumption is viewed then not just as a mechanical cycle of ingesting and burning calories, but as a strategic and vital aspect of maintaining health and balance in all aspects of one’s life. A simplified food chain example. Retrieved from http://www.vtaide.com/png/foodchains.htm, a good site to explain the study of food chains and food webs. 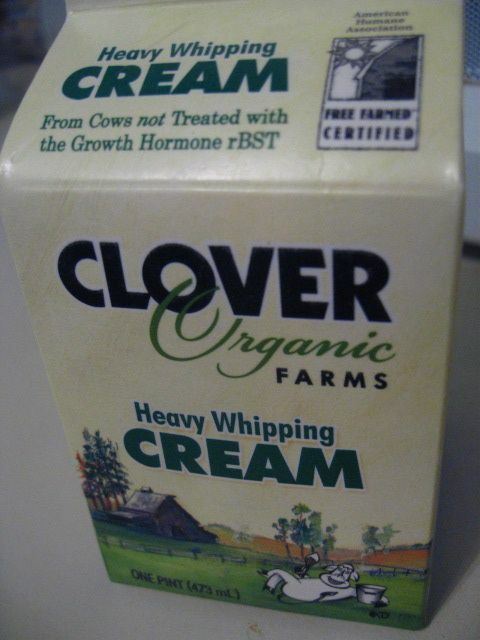 I'm happy that my whipping cream is Humane Association certified and comes from organically fed cows. But, why do I have to go to Whole Foods to have this option? But why is organic even necessary? How did we get to the point that “natural” is so special that it can be sold at premium prices? Why is a person who wants uncontaminated and natural food automatically deemed a “health nut”? Well, a lot has to do with marketing. I will address the history of food marketing and production in America in a separate post. So–past the initial gathering of the food–you’ve got your “raw” food product. This means plants and animal (and microbial) products. Everything we need for our bodies to function optimally can be found in these two categories. And yet we often consume many things that are not in any of these categories. Again–this will go in another post. Now then. After the food has been gathered (post harvest, post hunting, whatever), it often goes through some sort of processing. Chemicals (or in many cases, more chemicals) are used to either create a specific food product (i.e. sugar from sugarcane) or to preserve or enhance some aspect of the food. Maybe you don’t care about any of this. Maybe you don’t see why any of it should matter. Surely someone is out there wisely regulating this stuff, right? The industrialization of our food production has resulted in unprecedented yields to the farmer and a new level of convenience to the consumer. But it has also led to outbreaks of salmonella, e. coli and other harmful microbes in the US. How long does a scare on a spinach or meat recall last before it fades in the collective memory of the public? And that’s not mentioning mad cow disease or avian flu or swine flu, all of which have been linked to modern farming practices (strains of the latter two have recurred throughout history and are generally not spread through consumption, but their widespread reach are relatively new). So. What can we do to counter some of the negative “energy”–whether it be microbial, chemical, or simply just the negativity of dirty farming practices–that may be introduced into our food by the time it reaches our plates? The appliances and tools we use to store, freeze, cook, slice, whip, and blend affect not just the freshness and texture of our food, but also the energy–the chi–of that food. 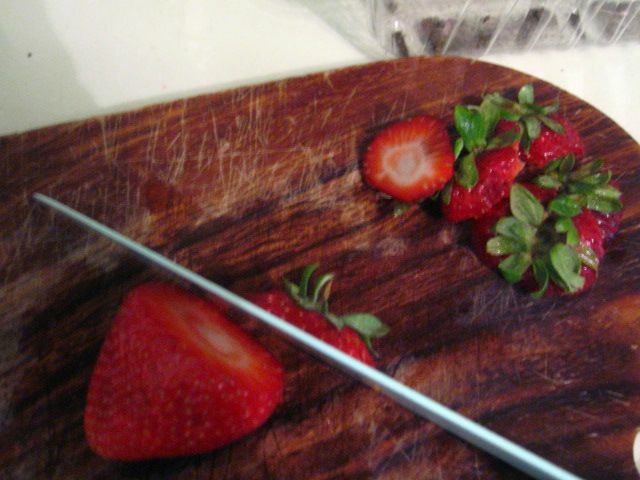 Sharpened knives give a "clear and precise" quality to food, according to Fahrnow. Dull knives, aluminum and teflon surfaces, and even the chemicals in our drinking water can all affect the taste, the quality, the texture, and even the health benefits of our food. For more ideas about Feng Shui in the kitchen, you may be interested in a book called Feng Shui and the 5-Element Kitchen by Fahrnow et. al. The book migrates from discussing food preparation to the atmosphere of our kitchens and recipes to improve our health. Buy local, and buy organic when you can. This minimizes transport and increases the likelihood of fresh, healthy produce. Some produce tends to hold on to more pesticide residues than others. Click here for the Environmental Working Group’s 2010 [Easy] Guide to Pesticides in pdf and iPhone app formats. Small farmers may not have an organic certification, but they can be as good if not better in their sustainable farming practices, so it’s well worth looking into the local farms in your area and asking them questions about their methods. Eat natural foods, not diet foods. Unprecedented levels of morbid obesity and “Western” health problems like heart disease, high blood pressure, and high cholesterol are directly linked to our diet. Our predecessors were able to maintain their health (and a generally healthy weight) for many thousands of years–by eating wholesome foods in the quantities they needed, not by starving themselves or ingesting chemical sweeteners. Buy unprocessed foods whenever possible. Buying natural, raw foods gives you versatility in meal options as well as greatly improved flavor and nutrition. Nutrient for nutrient, you are saving money–there are far fewer markups on “raw” ingredients than on prepackaged foods. Not to mention the difference you’ll feel by eating real food versus a bunch of stuff you can’t pronounce. If you don’t have access to a farmer’s market–try to grow at least a few herbs yourself. You’ll be surprised at the flavor as well as the health benefits that fresh produce provides. Keep appliances to a minimum. Use the most natural cooking fuel possible. 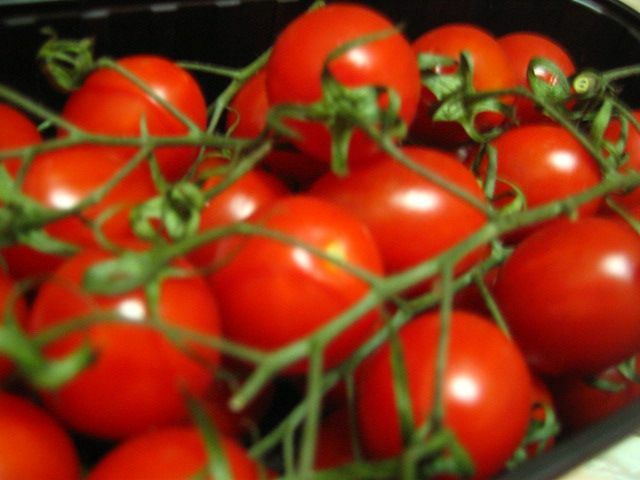 In a study, plants grown in water previously boiled in a microwave grew crooked and wilted. Plants grown in water boiled by electric stove were slightly sickly but a small improvement. Better yet were plants grown in water boiled by a gas stove. Plants grown in water boiled by wood were healthy and straight. You decide what this means to you, if anything. Of course, I use a microwave from time to time, but I do try to minimize it. At the very least it might make you wonder why pregnant women aren’t supposed to be around microwaves in use. In any case my general motto is, natural is better. Just seems intuitive. awesome posting, agree with everything, i gave up teflon 10 years ago – i keep 3 cast iron pans on my stove because they are too heavy to move, lol. I really need to get me one–I’m not digging the nonstick!